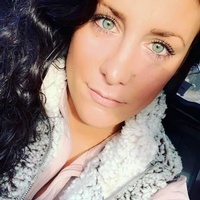 Daisha M. Kane, 27, of Hancock, NY, died unexpectedly on Wednesday, January 16, 2019, from injuries sustained in an automobile accident in Lake Como, PA. She was born on May 27, 1991 in Johnson City, NY, the daughter of Shaun and Tammy (Anderson) Kane. Daisha loved shopping, clothes, and getting her nails done. She was the most “girlish tomboy” you could ever know and also enjoyed hunting, fishing, and loved playing poker. Daisha could fool you with a hard outside but was soft inside and would give you the shirt off her back. She also loved the beach, the water, and always wanted to be a mermaid. Daisha loved children, especially her niece, Araya, who she was an amazing aunt to and loved more than anyone or anything! Daisha was definitely a night owl and always wanted to stay up all night. She truly loved life and was always up for an adventure and will be remembered for always having her phone out, taking pictures or videos of all her shenanigans. She was always a good time and always wanted to have a party. She was so funny and could even make a stranger blush with her quick come backs. Daisha was a hard worker who had a true zest for life and a personality that people were drawn to. She will be missed by many who loved her. Surviving are her parents, Shaun, who she was especially close to, and Tammy, sister and best friend, Sayla Kane, who last text to said, “Sisters are best friends given that you never had to find or prove anything to.,” niece Araya, paternal grandfather, Buck Kane, maternal grandparents, Craig and Faye Anderson, uncle, Steven Kane, uncle, Rick Kane, uncle, Tommy Anderson, and aunt, Sherrie Peters. Daisha was predeceased by her paternal grandmother, Jane DuMond Kane, and her aunt, Bevie Cicio. A celebration of Daisha’s life will be held on Saturday, January 26, 2019, from 12-3PM. There will be a brief prayer and reflection of Daisha’s life at 3, all to be held at the Emory United Methodist Church, Hancock. A reception will be at 4 at the Northern Wayne Fire Hall, 1633 Crosstown Hwy., Lakewood, PA, 18439. Arrangements by Henderson-Biedekapp Funeral Chapel, Hancock.